You know what got me through high school? America Ferrera as the inimitable, sparkling, optimistic Betty Suarez on Ugly Betty. She was a beacon of light to teenage me—the very embodiment of the idea that if you want something and work for it, you can get it. That you are enough, you deserve to be seen, and the world deserves to hear your voice. America Ferrera was amazing in Real Women Have Curves, How the Garcia Girls Spent Their Summer, and It’s a Disaster (to name just a few), and continues to be amazing in Superstore. She’s amazing, too, in her political life, where she speaks up for the disenfranchised—where she fights for women’s rights, Latino’s rights, and takes a stand for those who can’t. And now America (may I call you America?) has edited a new book called American Like Me: Reflections on Life Between Cultures, which comes out this September. 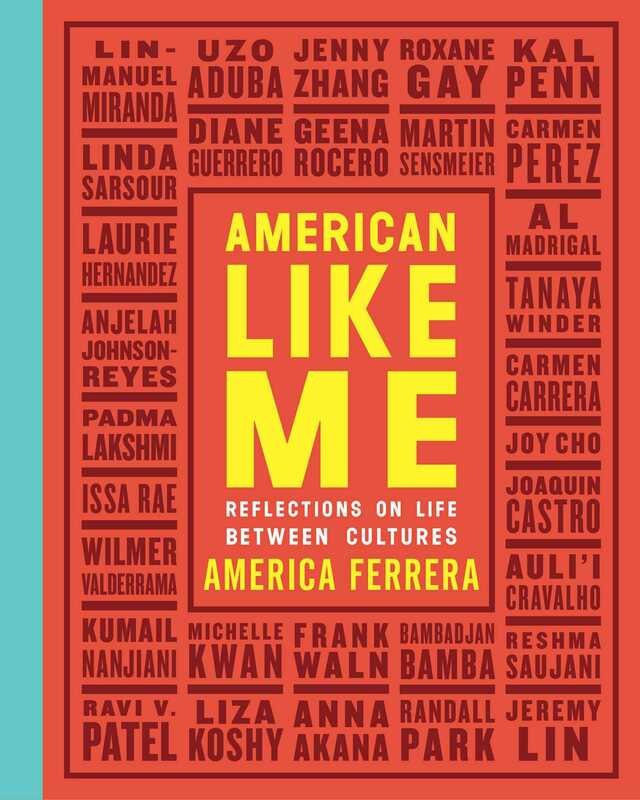 Working with thirty-one of her friends, peers, and heroes, America put together this collection of firsthand stories about what it’s like to grow up feeling caught between more than one culture, and perhaps feeling like you don’t belong to any. The contributors are people we know—they are actors, comedians, athletes, politicians, artists, and writers—and include Lin-Manuel Miranda, Roxane Gay, and Olympic skater Michelle Kwan. But they’re also immigrants, children or grandchildren of immigrants, indigenous people, and people who otherwise grew up with deep and personal connections to more than one culture. Their stories are about the struggle to establish a sense of self, find belonging, and feel seen in America. As a first-generation baby whose family members run the gamut from “want an arranged marriage?” and “why yes, I am a doctor/engineer/lawyer” to “I secretly have two tattoos” and “I’m almost forty and unmarried,” and who grew up in a predominantly white, New England town where my friends’ lives often looked very different from my own—there’s always been a lot of contention about what my life goals should be, and what “making it” really looks like. So hearing from people who’ve been through the same and “made it” (however they choose to define that phrase) means a lot to me. And of course America Ferrera is leading this charge because she is the *actual* best. And, the cherry on top of all of this is that America Ferrera will be donating part of the book’s proceeds to the nonprofit Immigrants: We Get the Job Done Coalition, which provides legal support for immigrants, refugees, and asylum seekers. Check out the cover for the full list of contributors! From award-winning actress and political activist America Ferrera comes a vibrant and varied collection of first person accounts from prominent figures about the experience of growing up between cultures.America Ferrera has always felt wholly American, and yet, her identity is inextricably linked to her parents’ homeland and Honduran culture. Speaking Spanish at home, having Saturday-morning-salsa-dance-parties in the kitchen, and eating tamales alongside apple pie at Christmas never seemed at odds with her American identity. Still, she yearned to see that identity reflected in the larger American narrative. 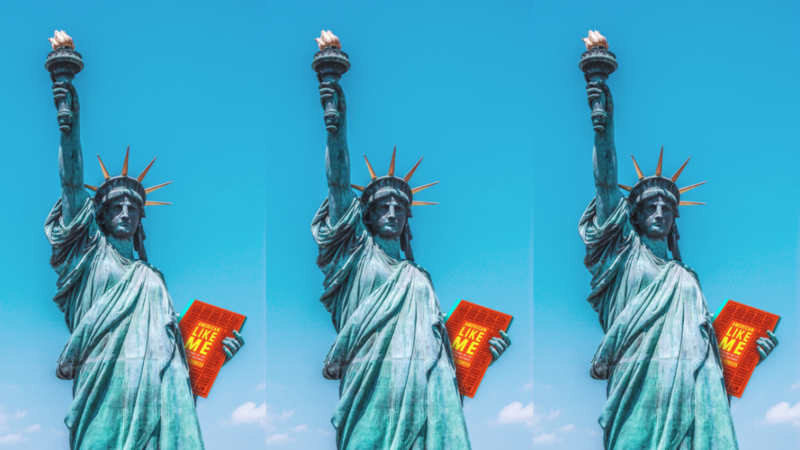 Now, in American Like Me, America invites thirty-one of her friends, peers, and heroes to share their stories about life between cultures. We know them as actors, comedians, athletes, politicians, artists, and writers. However, they are also immigrants, children or grandchildren of immigrants, indigenous people, or people who otherwise grew up with deep and personal connections to more than one culture. Each of them struggled to establish a sense of self, find belonging, and feel seen. And they call themselves American enthusiastically, reluctantly, or not at all. Ranging from the heartfelt to the hilarious, their stories shine a light on a quintessentially American experience and will appeal to anyone with a complicated relationship to family, culture, and growing up.